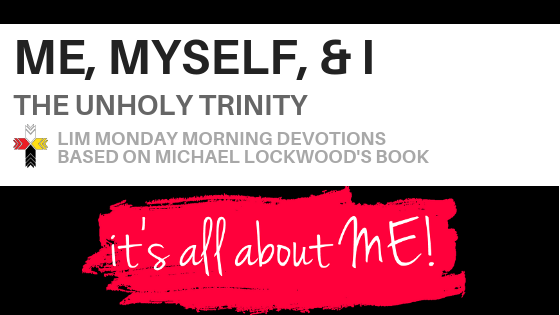 In this season of resolutions and self-help, where we focus so heavily on ourselves, let’s delve into idolatry - putting something (or someone) else in the place of God. These seven weeks are brought to you by Pastor Ricky Jacob, who serves the Native community of Winnebago, Nebraska. Greetings to you in the Name of our Triune God, Father, Son and Holy Spirit! Each and every person has been born with a natural knowledge of God, however this truth does not inform one of who God is. This knowledge comes from only one place: the Sacred Word of God. And yet, man's natural knowledge of God attempts to form God in a way that is similar to his/her Creator. The idol of the Self and Providence. God the Father is the one who provides us with all good things; all who think they can provide for their own creaturely needs apart from him are idolaters. The idol of the Self and Love. Our heavenly Father calls us to love him above anything else; all who love themselves more than him are idolaters. The idol of the Self and Justification. Jesus Christ just justify us sinners with a righteousness that is not our own; all who attempt to justify themselves are idolaters. The idol of the Self and the Worship of God Incarnate. No one can know or come to the Father except through his incarnate Son, who comes to us now through the means of the Gospel; all who devise their own path to God or worship of God apart from Christ incarnate are idolaters. The idol of the Self and God's Word. The Holy Spirit reveals God to us through his Word; all who bypass the Spirit-breathed Word and attempt to know God by means of their own reason are idolaters. The idol of the Self and Repentance The Spirit must free us from our idols and create true faith in us; all who think they can produce true faith and its fruit without relying at all times on him are idolaters. This has been Pastor Ricky Jacob of Jesus Our Savior Lutheran Church and preschool, of Winnebago. I close with the words from the third chapter of Proverbs: “'Trust in the LORD with all your heart and lean not on your own understanding; in all your ways acknowledge him, and he will make your paths straight" [Proverbs 3:5-6 NIV]. Newer PostGiving Back & "Making it Real"